The United States needs to invest more resources in the security of election systems, Cook County (Ill.) Director of Elections Noah Praetz told the Election Assistance Commission (EAC) on Aug. 16. According to Praetz, the lack of resources can prevent some counties from hiring the necessary personnel, replacing outdated systems, and contracting security researchers to test the vulnerabilities of their machines. Though Praetz acknowledged that the Federal government had a role to play in ensuring election security, he said that local officials need to get more involved in communicating what they need. 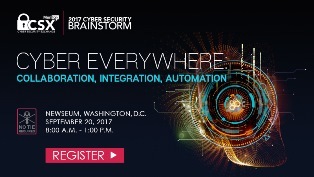 Join us at the sixth annual Cyber Security Brainstorm on Sept. 20 at the Newseum to discuss the cyber strategies and opportunities that can keep our Federal government one step ahead at all times. Click here to learn more and register. “We can’t wait for Superman,” he said. “A lot of this stuff we have to take onto our own, we have to find local partners that are willing to come in and help us out. It’s not going to be necessarily the Federal government that’s going to get us on a firm security footing, although they’ve certainly got a role. EAC Commissioner Thomas Hicks, who recently participated in an election planning exercise with the State of New York, encouraged states to undertake similar coordination exercises for the sake of figuring out what they need. “I would encourage each and every state to possibly hold a similar meeting with their election officials, emergency management folks, and IT people, because as we move forward with the 2018 and 2020 elections we’ve been told over and over again that the threat to elections is real and it’s continuing,” said Hicks. Praetz also encouraged states and localities, in acknowledgement of the fact that no system is perfectly unhackable, to focus on resiliency and recovery efforts. For example, Illinois offers same-day voter registration, which can nullify some of the effects of voter roll tampering. Can DoD, VA Come Together on Health Records?